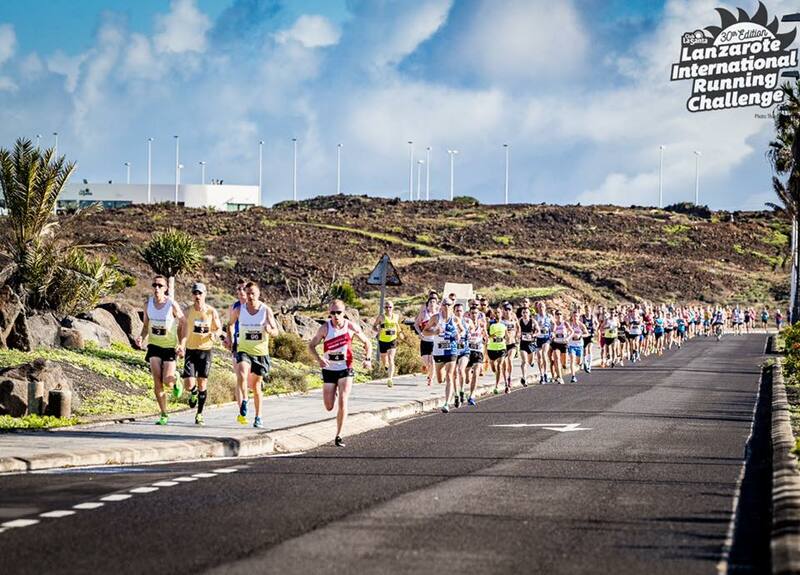 Club La Santa is a Danish-run resort which provides a training base for amateurs and some elite teams alike. In fact the Belgium Olympic Team visit regularly and the U20 GB Ladies Wheelchair Basketball team also recently stayed, while we’ve been out here in the past with Johnny Brownlee and Angelique Kerber. This year the Danish ´help for heroes´ army/air force veterans were here. There really are a huge range of sports to fit into your stay including all the racquet sports, wind surfing and crazy golf(!) to name but a few in addition to the three Olympic size swimming pools. 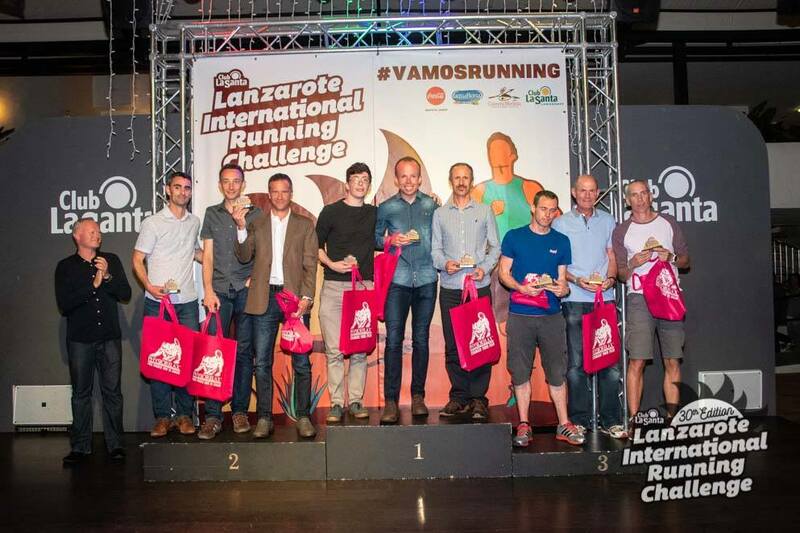 The main focus for our group each year is the International Running Challenge which was started in the 1989 by the late Vince Reagan who became a good friend of many of the regular attendees. The races are over four days, 10km road, 13km up and down a volcanic ridge (trail), 5km on a sandy beach and then 21km road/trail mix to finish. It is possible to pick just a few races (many people do this) or to book for the full Challenge which is 75€ plus a chip deposit of 20€. This year there was also a free 30th Anniversary 3km night run. There were fireworks, disco tunes, glow sticks and lights. It was a really nice way to start the holiday and a good warm up. I was very pleased to have met Jim and Morven from one of the Scottish clubs who kindly lent me a head torch which was essential. It really is a great ´running family´ with clubs being supportive of each other, as we of course expect within the running community. As for the Challenge itself, I had quite a slow 10km as I had not done enough training. I had a better 13km ridge run. The 5km beach race is always very tough for me, though this year the sand was firm so I didn’t struggle as much as previously. 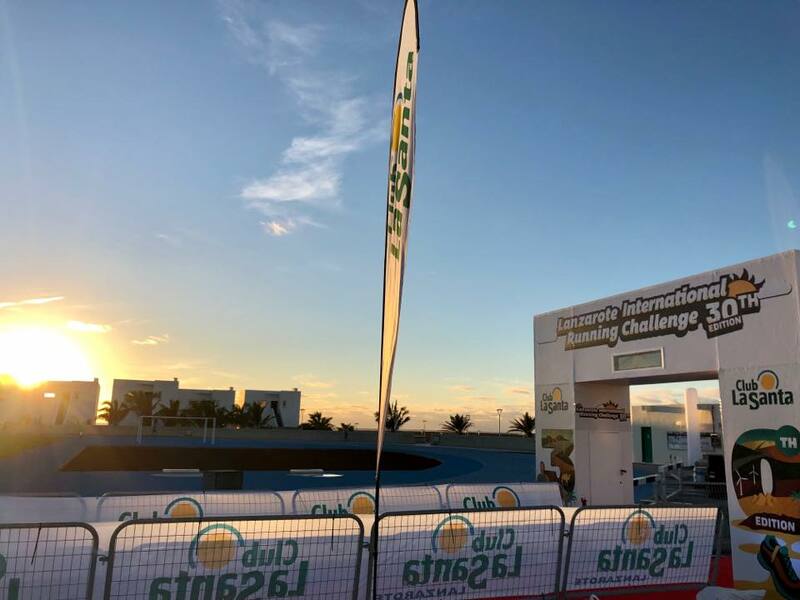 There is the option to stay on at Puerto del Carmen (race location) for a few extra hours after the beach run and get a later bus back so that you can browse the shops or grab a well-earned ice-cream. The Half Marathon is tough after three days of racing but the support was excellent. This year Richard did not run the Challenge due to injury but was out on the course giving excellent support with Uncle Pete Watkins and Jason Hartwell (a friend from MKAC) provided additional water for us. There are also water/Coke stops and plenty of fresh fruit and water and Coke at the end. My time was 01:38:39 for the Half, though the course was a little short of 21K. Well done to our leading men’s team (Pete Mackrell, Rob Elmore, Andy Inchley and Ben Corfield) who took the second place overall for the Challenge by closing a gap of 3:28 on the final day to pip Tullamore Harriers by just 19 seconds after over 9 hours of combined running! We also had a ladies team of Coralie Anderson, Amy Inchley and Leah Hartwell (from MKAC) who finished as the 6th team overall with Coralie in particular running well in her first challenge trip. I love the time after the races for recovery and there is a great spa with hot and cold contrast water therapy which is proven to reduce the level of waste products in muscles after exercise. There are physios and sports therapists on-site who are willing to chat and give advice at the spa. Treatments are at an extra cost but excellent and all facilities are modern and clean. Each year I thoroughly enjoy the bike ride up to Famara for lunch and this year I did a front crawl group swimming lesson too. Famara is a favourite trip for our crew with excellent paella (and many other Spanish dishes) served in a beautiful setting next to the beach. I love coming out to the island at this time of year. It is so nice to get some sun and outdoor exercise when England is cold. I have learned that there are two main obstacles for me: firstly to overcome the psychological barrier of not being good at something but just trying and not bothering what others think. Secondly to maintain good overall fitness to ensure that it is possible to take part as much as possible. This year we had a group of just under 20 people, with 10 doing races in the challenge and it is such a popular event that we need to book early in the new year, so if you would like more information about it then please ask me or any of the others who have attended over the years – next year it shouldn’t clash with the CCCL either!